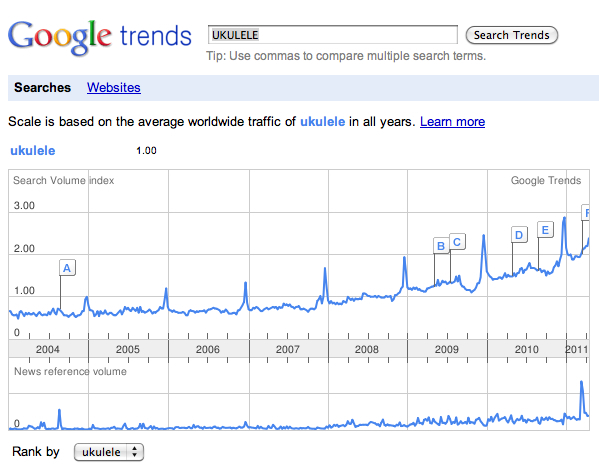 Is the popularity of the ukulele on the rise, leveling off or waning? Two excellent barometers we can use to answer the question are the number of times the ukulele gets mentioned in the media and how many online searches the uke is getting. 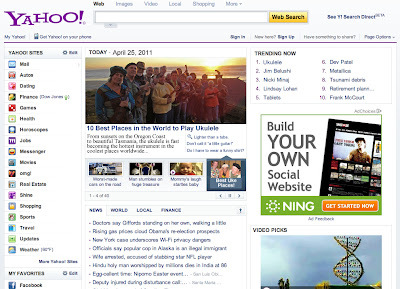 Acquiring this information is a simple matter of visiting Google Trends. Google Trends tracks the Search Volume Index and News Reference Volume of any subject. In the case of the ukulele I found some surprising results. 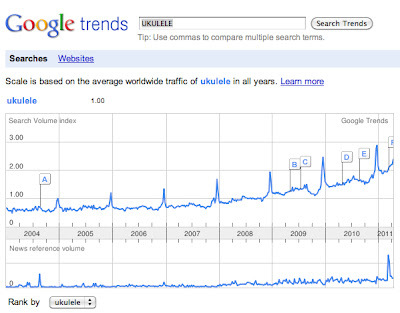 In the last three years both the Search Volume Index and News Reference Volume for the ukulele has taken a definite upswing worldwide. Click on graphs and charts for larger images. 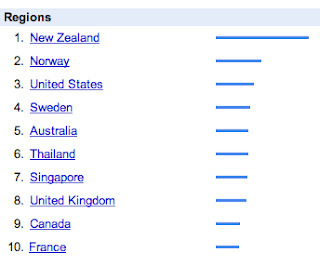 That’s right, New Zealand. Quite a feat for a country with little more than 4 million in population. But look who ranks second. How can Norway, with a total population of just under 5 million, also top the USA (population 308 million) in online searches for the word ukulele? You can also break the data down to specific subgroups within a country. In the USA you would expect Hawaii to lead the way, but Utah at number two? Go figure. I was, however, pleasantly surprised to see my former state of residence, Oregon placing third. Having recently toured Australia for three months, visiting six of the eight states, I was also interested in the data from down-under. Surprisingly, the states with the smallest populations, the Australian Capital Territory (ACT) and Tasmania top the list.